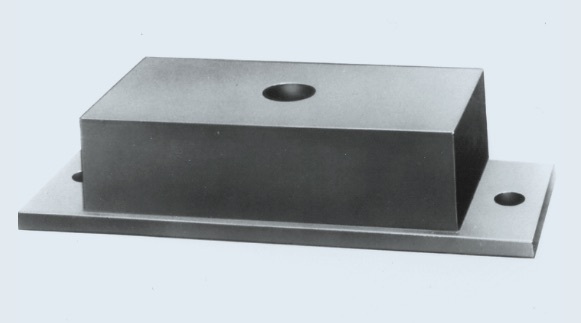 Low-frequency elastomeric compression mounts for industrial machinery. Barry Industrial Machinery Mounts are for use under heavy industrial machinery for shock, vibration and/or structure borne noise control. Barry Machinery Mounts provide efficient isolation for machine speeds as low as 750 rpm. Provides efficient isolation for speeds as low as 750 rpm. WEIGHT Series 661 = 2 lbs. Series 670 = 2 lbs.